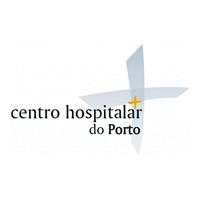 O CHP é um hospital central e universitário pela sua associação ao Instituto de Ciências Biomédicas Abel Salazar da Universidade do Porto. PEREIRA, J.; MARSON, A.G.; HUTTON, J.L. Perforated peptic ulcer: main factors of morbidity and mortality. NOGUIERA, C.; SILVA, A.S.; SANTOS, J.N. ; SILVA, A.G.; FERREIRA, J.; MATOS, E.; VILACA, H.
Two pairs of proven monozygotic twins discordant for familial amyloid neuropathy (FAP) TTR Met 30. MUNAR‐QUES, M.; PEDROSA, J.L. ; COELHO, T.; GUSMAO, L.; SERUCA, R.; AMORIM, A.; SEQUEIROS, J.
Homocysteine levels in pediatric renal transplant recipients. Mota, C.; Fonseca, I.; Santos, M.J.; Costa, T.; Faria, M.S. ; Henriques, A.C.; Sarmento, A.M.; Pereira, E.; Pereira, M.
Homozygosity mapping of Portuguese and Japanese forms of ataxia-oculomotor apraxia to 9p13, and evidence for genetic heterogeneity. Moreira, M.C. ; Barbot, C.; Tachi, N.; Kozuka, N.; Mendonça, P.; Barros, J.; Coutinho, P.; Sequeiros, J.; Koenig, M.
Systemic lupus erythematosus in Europe at the change of the millennium:Lessons from the "Euro-Lupus Cohort"
Patients' recollections of experiences in the intensive care unit may affect their quality of life. HIRSCH‐REINSHAGEN, V.; CHAN, J.Y. ; WILKINSON, A.; TANAKA, T.; FAN, J.; OU, G.; MAIA, L.F.; SINGARAJA, R.R. ; HAYDEN, M.R. ; WELLINGTON, C.L. 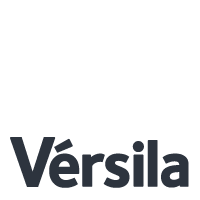 HORTA, C.; VILAVERDE, J.; MENDES, P.; GONCALVES, I.; SERRA, L.; PINTO, P.S. ; ALMEIDA, R.; CARVALHO, R.; DORES, J.; SERRA, M.B. Correia, M.; Silva, M.; Veloso, M.
Correia, M.; Silva, M.; Magalhães, R.; Guimarães, L.; Silva, M.
Correia-Pinto, J.; Reis, J.; Hutchins, G.; Baptista, M.; Estevão-Costa, J.; Flake, A.; Leite-Moreira, A. Early response to immunosuppressive therapy predicts good renal outcome in lupus nephritis: lessons from long-term followup of patients in the Euro-Lupus Nephritis Trial. Immunosuppressive therapy in lupus nephritis: the Euro‐Lupus Nephritis Trial, a randomized trial of low‐dose versus high‐dose intravenous cyclophosphamide. Clinical trial of lamivudine in children with chronic hepatitis B.
Jonas, M.M. ; Mizerski, J.; Badia, I.B. ; Areias, J.A. ; Schwarz, K.B. ; Little, N.R. ; Greensmith, M.J.; Gardner, S.D. ; Bell, M.S. ; Sokal, E.M.; International Pediatric Lamivudine Investigator Group. Hernandez, T.; Madalena, C.; Teixeira, P.; Matos, P.
#diagnóstico prénatal#refluxo vésico-ureteral#pre-natal hydronephrosis#vesicoureteric reflux. LEAL, A.; OLIVEIRA, J.; AMADO, J.; GOMES, L.; MAGALHAES, T.